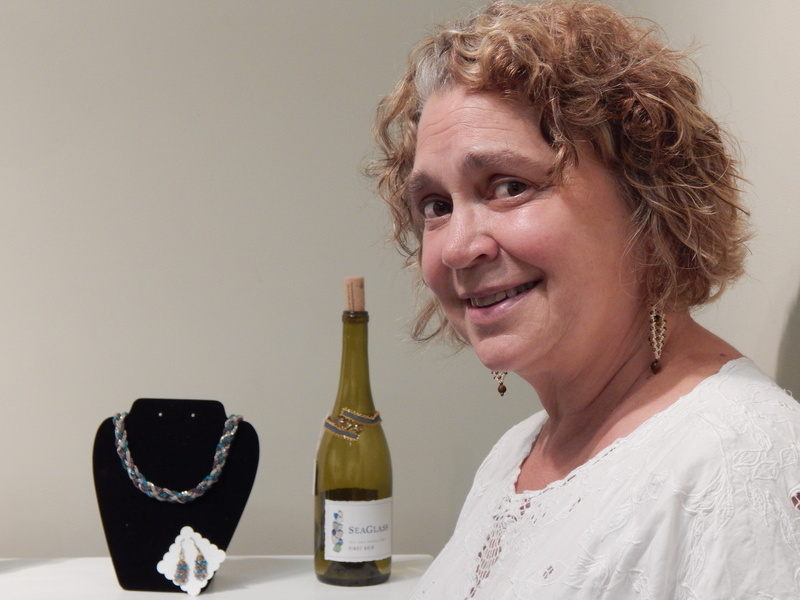 The Multi-Artisan Jewelry & Pottery Show and Sale is at the Maser Gallery at Falmouth Community Television (FCTV) through August 2. Meet the artists through this video. I talked to all the artists, except for Vicky (Garner) LeMarbre, who was not available. I met with Elaine Sinni and Gráinne (Granya) Coen at the Maser Gallery, Vicky Cullen in her home, and Kim Medeiros and Hollis Engley at Falmouth Arts Alive. It is a wonderful display by four jewelery makers and two potters. Items are reasonably priced, so you can take a bit of the show home with you. Elaine Sinni began making jewelry after she retired from careers in human services and custom tailoring. She experiments with different types of bead embroidery, often using fabrics in her bracelets and pins. She likes to find unusual pieces and incorporate them in her work. She displayed her jewelry on fancy high-heeled shoes from her daughter’s extensive collection to add a little glamor to her collection. Vicky Cullen also has a fondness for fabrics; she has enjoyed sewing and weaving for most of her life. 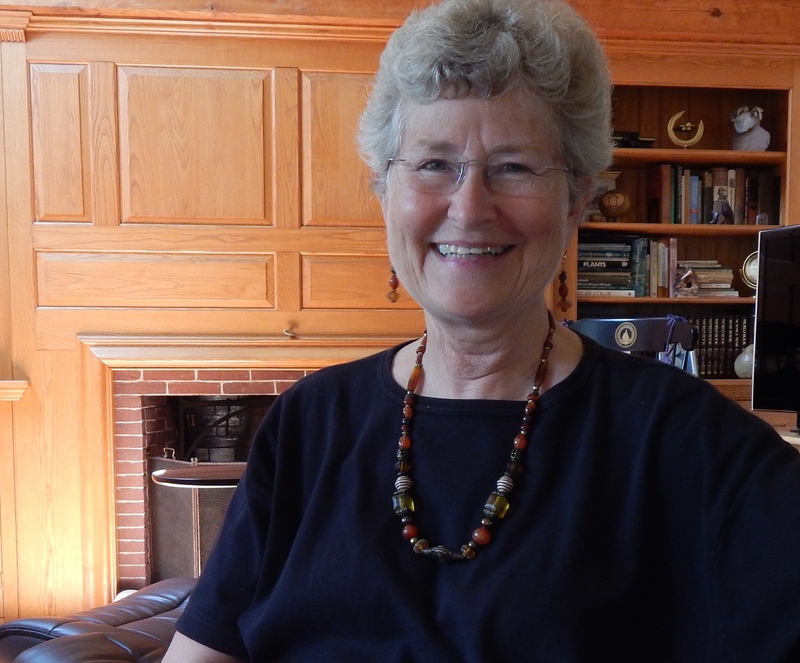 She took up beading when she retired from her job in communications at Woods Hole Oceanographic Institution. She had intended to use the beads to decorate quilts, but the beads took over. She likes to make asymmetric pieces, coordinating colors and textures and incorporating unique and interested beads. Gráinne (Granya) Coen, a teacher, studied costume and fashion design in Madrid, where she worked as a costume builder for . She worked as a costume builder for theatrical productions. She makes fun jewelry for wearing in the summer sun, at the beach, and around town. She calls her business Coelestsis, which is the fusion of art, myth, and science. Nicki (Garner) LeMarbre designed, painted and produced T-shirts for years before turning to painting angels in 1999. 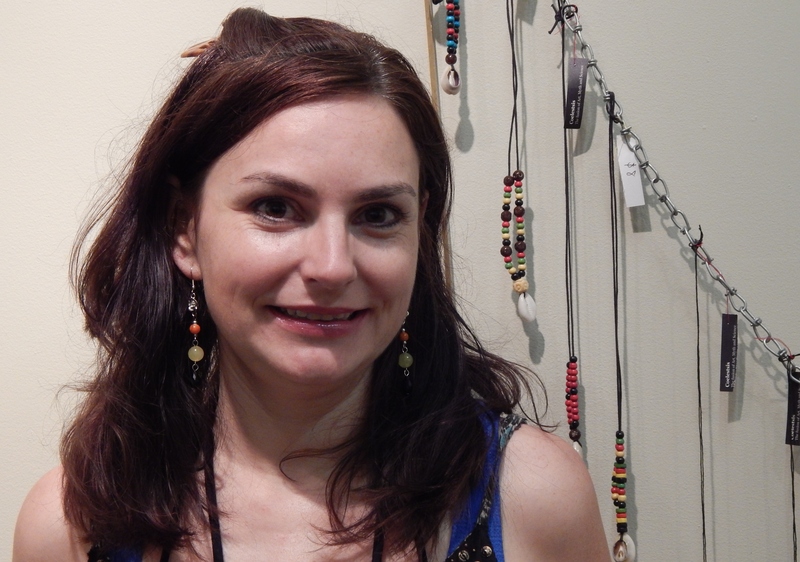 Her latest interest is creating earrings, necklaces, and bracelets using Selenite crystals and other nature stones. Each piece of jewelry is unique. Kim Medeiros majored in studio art, with a ceramic focus, at the University of New Hampshire. After graduation, she moved to the Cape and opened The Barn Pottery in Pocasset. She makes functional pieces that she decorates with ornamental and meaningful symbols, such as Buddhas, sea creatures, and birds. Hollis Engley owns of Hatchville Pottery and has been making pottery for more than 20 years. He makes functional stoneware mugs, cups, bowls, vases, teapots, plates and platters. 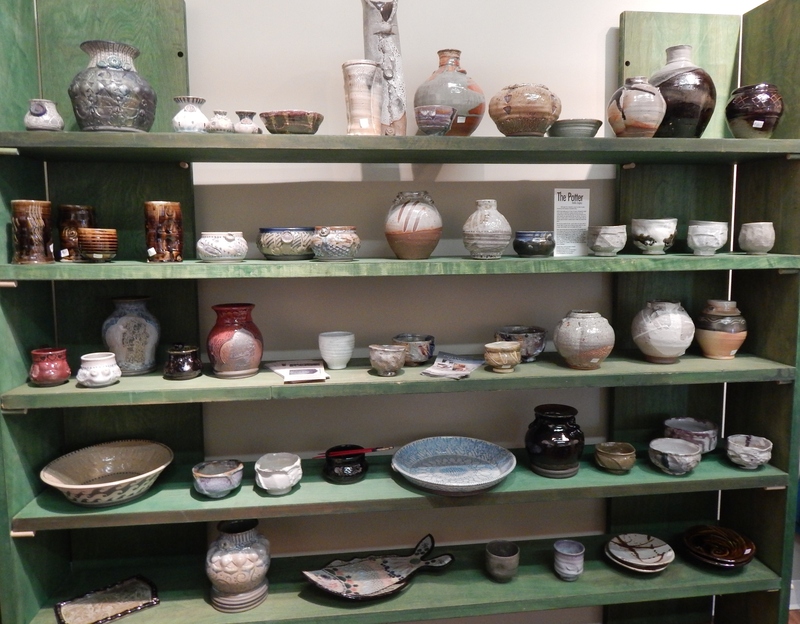 He uses a variety of glazes that originated in Japan. He prefers uneven shapes, rather than “perfect” shapes. 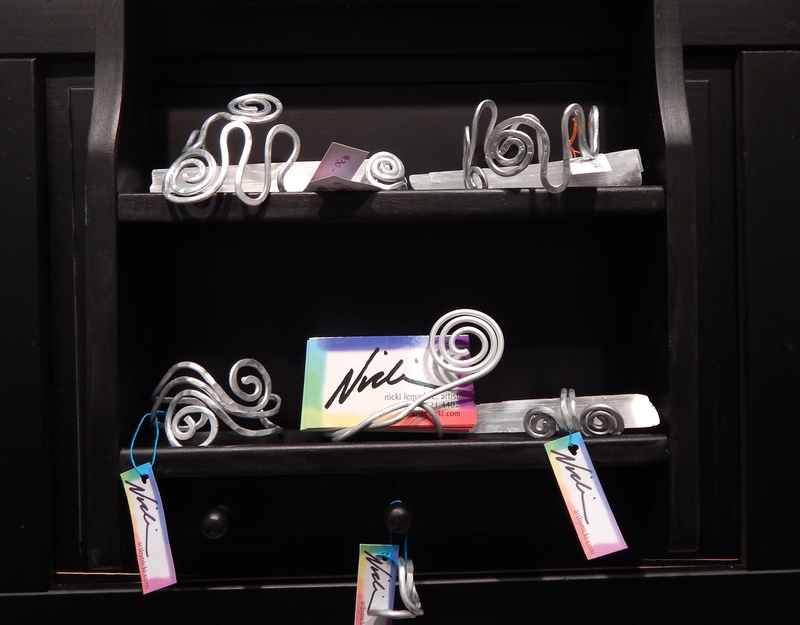 Maser Gallery hours are Sunday and Monday 2 to 10 PM, Tuesday through Thursday, 10 AM to 10 PM, and Friday, 10 AM to 6 PM. For more information, visit fctv.org.